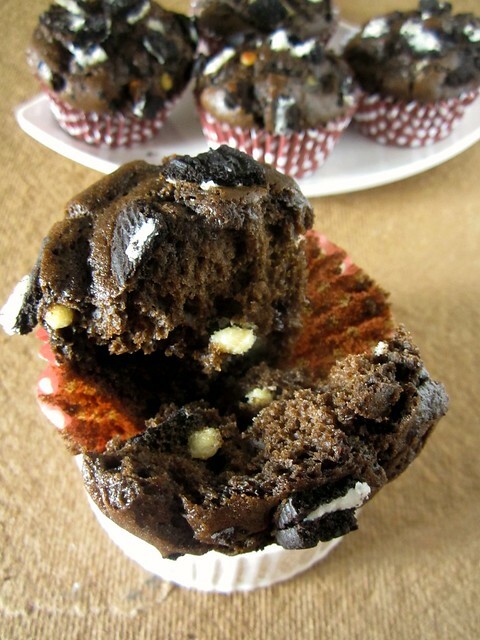 Easycooking: Oreo Cookie Muffins & A Giveaway! I come here for your konkani recipes. So do more of that cuisine too please. All I can say is just awesome, awesome and awesome, the clicks are too good which is very very tempting. Muffins look so inviting and tasty. I could have them for days together. Loved the pics. Best wishes on your Blog Anniversary and tempting muffins. I like Oreo, have to try this. I usually look here for veggie recipes. Hey divya, happy anniversary ! 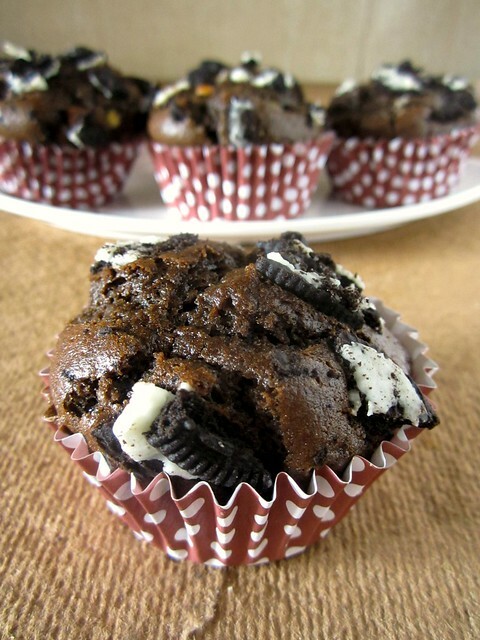 those muffins look amazing - and i LOVE oreos..
Hi, These oreo muffins looks gorgeous. Congrats for the anniversary and the giveaway is great. Hi, Happy Anniversary..... 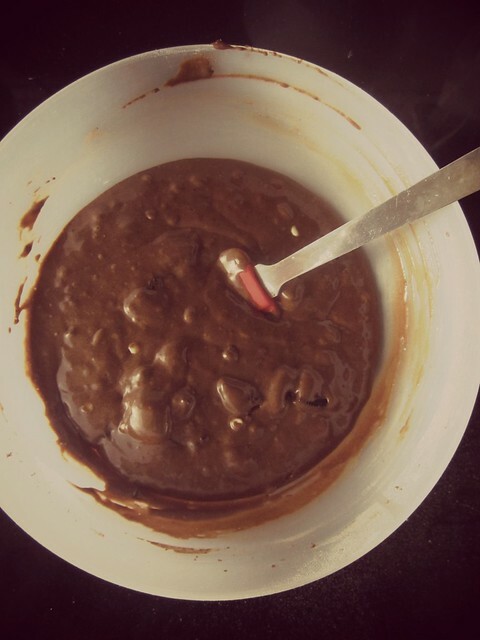 I love Your blog.Whenever i go for baking,firstly i go through ur blog. 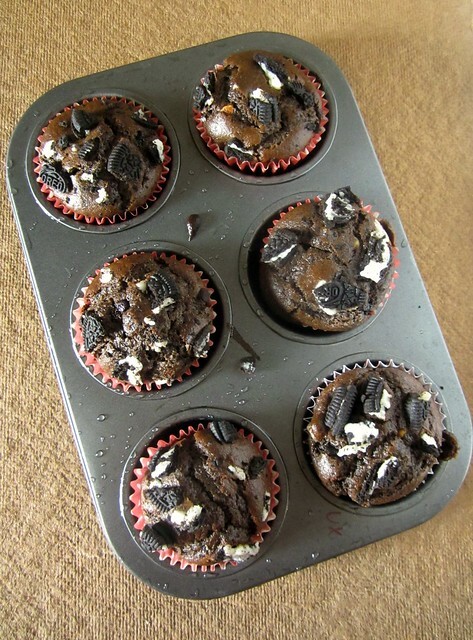 woow...awesome looking muffins...am sure they must have been yummy! Looking forward to more of ur baking recipes! Hi, Congrats on turning 5. You are doing a great job. i have tried lots of your recipes and it had turned out really well. Ur step by step pics really make it easy. My daughter loves ur paneer recipes. Would like to see a kids corner. hi, i have been reading your blog silently for quite sometime.it's a wonderful blog.i generally go for eggless recipes which your blog has in abundance. i would like to see more pasta (spagetti) recipes. congrats on your blog anniversary. Congrats and happy blog anniversary Divya,am not a big fan of oreo cookies too,but muffins looks simply gorgeous and fabulous. I would like to see some traditional Konkani dishes from ur kitchen. would u please share an eggless recipe too?? my inlaws are a strict no-no when it comes to eggs in the kitchen! 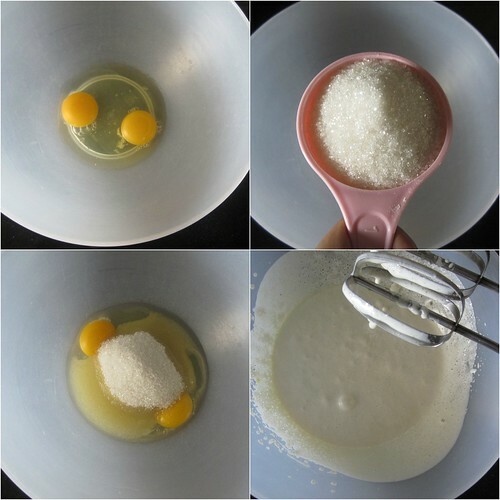 i would love to see an eggless n fluffy cake/muffin recipe. Happy Blog Anniversary and congrats. Am a fan of oreo. Thanks for sharing. You are posting all good recipes. I share the same love-hate relationship with oreos. I find them best in Oreo mcflurry, but even then they are tad too sweet. i would love to be a part of your giveaway. What i would like to see on your blog is definitely more salads & bread baking. Thanks a lot, always for making my day ! Congratulations on your blog anniversary. I have been following your blog from many months. And believe me, every time I try a recipe from your blog, I am showered with compliments from my friends and family. 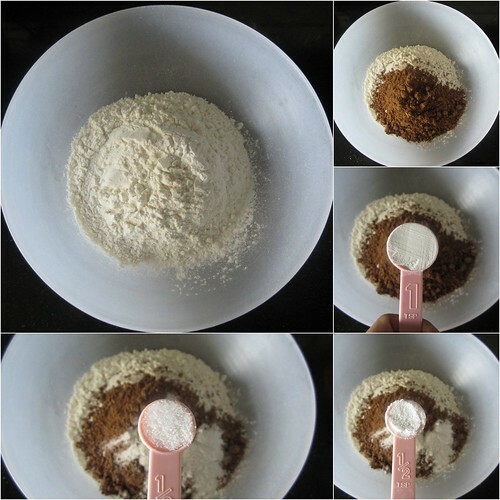 I am an ardent baking fan and your blog has been the biggest inspiration to give my passion of baking a new dimension. I am in love with some of your recipes, including Macaroni Alfredo, Brownies, Naankhatai, Black forest cake etc. 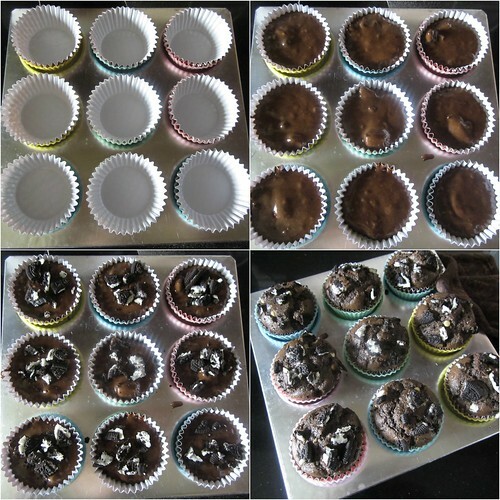 Looking forward to baking the Oreo cookie muffins and also waiting for more yummy delights from you. I just have one word- awesome awesome..I would love more microwave recipes. 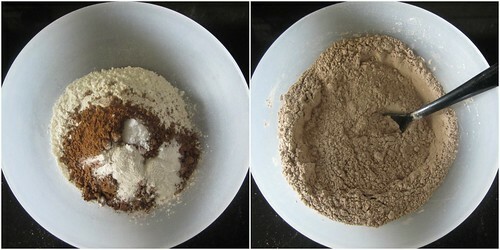 Wow...what a innovative recipe to use non-used Oreo..
Congrats for ur blog anniversary !! 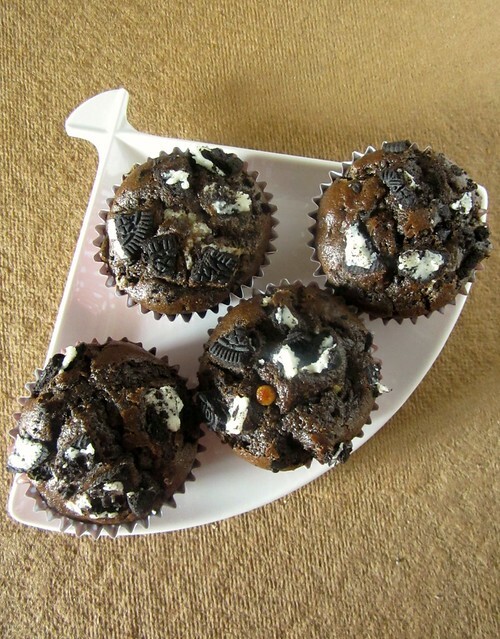 Though aim not a fan of Oreo,I've bookmarked a brownie recipe with Oreo for my kids..muffins look yumm! Happy blog Anniversary ! Luv your recipes, may we have more of Preserves like sun dried tomatoes and various jams ? hey.. I feel d same fr oreo but you know what instead of addin chocochips in cakes/cupcakes add crushed oreo biscuits.. 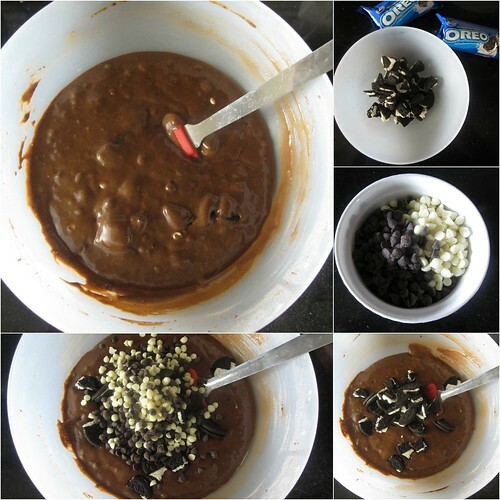 Believe me works like WONDER.. N no one can tell tat you added oreo instead of chocochips..:).. Love ur blog.. Yours is a 1stop when it comes to searchin fr any recipe.. Keep up d good work :)..
Hi Divya! Happy 5 Year Anniversary for your amazing blog! Thanks to you, my kitchen is filled with the aroma of delicious desserts. Oreo cookies were never my favorite as well, and recently I got hooked onto the Eggless Microwave Oreo Cake found on Apy Cooking website. 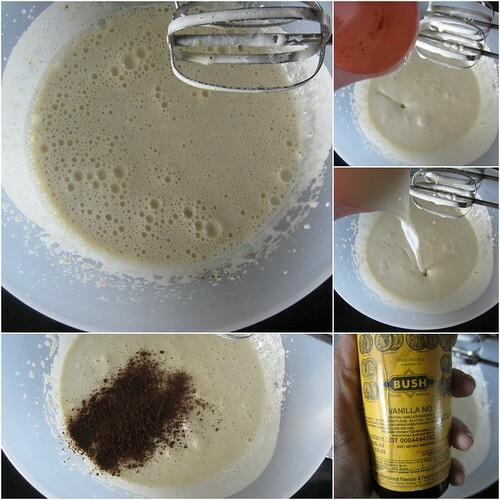 Now that you have posted this recipe, I am definitely going to try it out. Just a quick question though....Can we make it without eggs? Also, I am yet to buy a muffin tray, so can this be made like a cake? All the best to you and your blog and may your blog reach to greater heights as the years go by! 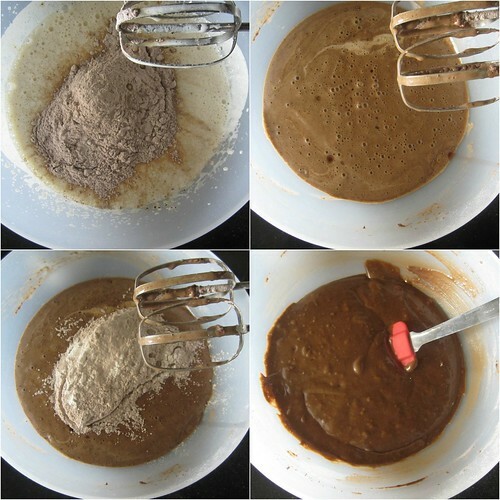 Thanks Prathima.I haven't tried any eggless substitutes myself,but you can replace eggs using yogurt,flaxseeds etc,a quick google search might help you.You can go ahead and bake this in a normal cake tin if you don't have a muffin tray.Just increase the baking time. Congrats Divya! Happy 5th Anniversary. Your muffins look delicious! hi Divya! been silently following your blog for ages now. Post more bread recipes please! I love ANYTHING with chocolate in it…A must try for sure..